Different patients of hormone replacement therapy (HRT) who use Omnitrope injections will experience different benefits. Results will all depend upon on how their body has reacted to the aging process and losing their growth hormones (GH) and how they react to this medication. By replacing the lost GH that the body depletes as it gets on in years, a person can feel like they did when they were in their 20’s. When they participate in this kind of therapy, will remember first hand exactly how it felt to have a full and balanced amount of growth hormones in their system. HRT replaces lost hormones with a bio-identical replica of what the body makes on its own. The body usually has an easy time accepting the injections and does not treat the medication as if it is a foreign substance. That is because a medication like Omnitrope is made up of a 191 amino acid sequence that is created in a very controlled laboratory. When the medication is purchased from a clinic like Greenberg Health, it will not contain any bacterial residue or any unnatural substances. It will only allow for the best Omnitrope benefits when taken as directed by the licensed doctor who prescribed it. The best way a person can go about getting the top benefits of Omnitrope is by following their doctor’s written prescription and tailor made treatment plan. Every patient of HRT who works with Greenberg Health will work individually with a clinical advisor over the phone and they will also have a doctor who follows their treatment. By staying in close contact with their advisor, patients can share their progress, ask questions, get assistance when needed and have the moral support that can help for therapy. This is when the best Omnitrope benefits will occur. For a patient, knowing that a team is behind him or her when participating in HRT can bring about confidence and a sense of security. It will help one to understand how therapy works and will give a boost towards sticking to the daily treatment plan that was designed especially for the client. 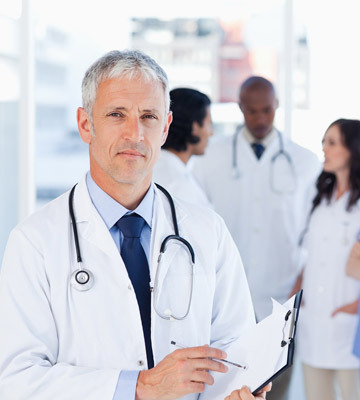 In addition to working as a team with the professionals, a patient of HRT can also help themselves and their progress. By living a healthy lifestyle, this helps the body to produce hormones naturally and can speed up the Omnitrope benefits for adults. What are the ways that people can live in a healthy manner? Eating a healthy diet packed full of the right nutrients will help the body to get what it needs to grow, stay strong and replenish lost hormones to some degree. Exercising keeps the heart healthy, keeps bones stronger and body aches and pains away. Stress and smoking are a danger to the body in every way possible. They both age every system unnecessarily and much faster than they would age naturally. Smoking and stress can be an extreme detriment to the skin and make it wrinkled, haggard and old looking way before its time. Cigarette smoke contains so many toxins that it causes all kinds of disease as well. Stress has been called the silent killer. It can manifest itself in many different ways and its symptoms can come upon a person suddenly and without warning. Drinking alcoholic beverages in moderation can be healthy for the mind and for the body, according to many experts. It is when drinking becomes too much when it can damage bodily organs and age the body. Live healthy and see how that can change your life. Then add hormone replacement therapy with Greenberg Health and see how life can make a dramatic turn for the better.